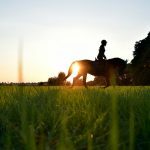 As the sun peeks over the horizon on competition day, riders take care to prep their horses and themselves for the day to come. Braids are in place, leather clean and supple, and socks pristine white. But first, the jog—where officials determine whether the pair will be allowed to continue on in the show. In internationally-sanctioned competitions, horses must pass a number of inspections, most notably, “the jog”—overseen by a veterinary delegate and the ground jury to ensure the horses are fit to compete. But what does that mean, and how does the veterinary delegate determine fitness? A veterinary delegate is responsible for ensuring that veterinary standards are maintained during events, according to the FEI. “We’re there as an advocate for the horse—making sure everything is in the horse’s best interest and also to ensure a safe and even playing field, so that nobody has an advantage over other competitors,” explains Dr. Wade Tenney, an FEI-approved veterinary delegate for eventing, show jumping, dressage, and para-dressage and head of the Ultrasound Service at Tufts Hospital for Large Animals. A veterinary delegate’s job is comprised of far more than the jog, however. 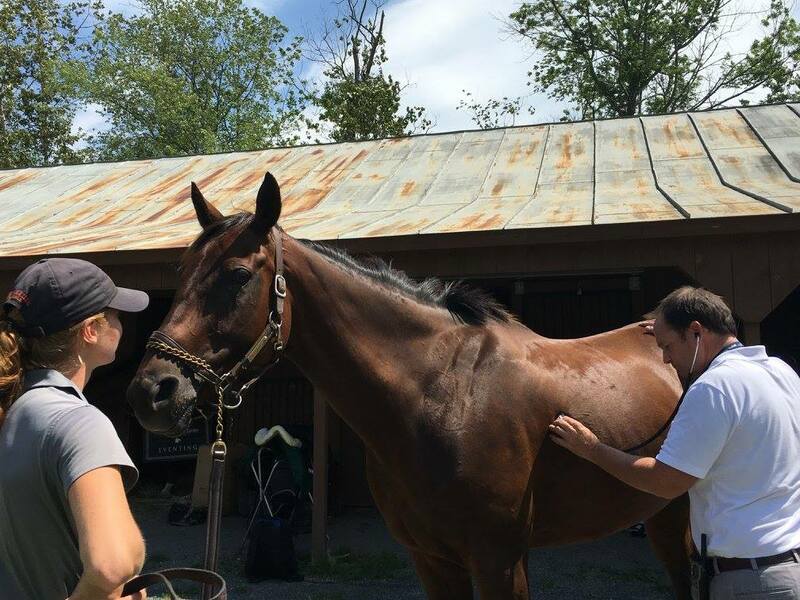 “There’s an inspection done when the horse arrives to make sure that there is no illness or infectious disease that could potentially be spread to other athletes competing in the show,” says Dr. Tenney. Dr. Tenney inspects a competitor’s passport. 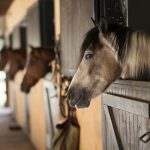 If any issues are found at the time of inspection, or anytime throughout the show, there are isolation stalls in place to help keep the other competing horses away from risk. Passports are also checked to ensure the horses are up-to-date on their influenza vaccine and that they’re in good standing with their national federation. Then comes the jog. 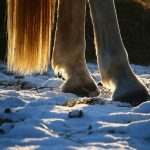 If there is any question about lameness or suitability to compete, the horse gets pulled aside. A separate veterinarian completes additional testing and reports the findings to the veterinary delegate and the ground jury. If no significant issues are found, the competitor is allowed to represent the horse, and the ground jury will then decide whether the combination can continue on to competition or will be eliminated. Dr. Tenney examines a competitor. A veterinary delegate’s job is not done after the jog, however. You can find him or her onsite and ringside throughout the show, where s/he will make sure there’s no lameness noted and oversee the stewards as they complete examinations to ensure fair play—including measuring the weight of boots, making sure there’s no caustic substances under the boots, and making sure all of the horses competing are healthy and able to do so. 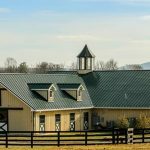 As a seasoned veterinarian that goes through rigorous training for the job, a veterinary delegate is responsible for making sure equine athletes are put first at competitions, but s/he also often benefits from the experience in practice. “Being aware of what clients are going to go through at a competition helps me advise them on rules and regulations and what they can and can’t do,” says Dr. Tenney. “And, knowing the job these horses do, it gives me a better understanding of why they get certain injuries. If I know what the risks are, it helps guide me to a quicker and more accurate diagnosis,” he adds. 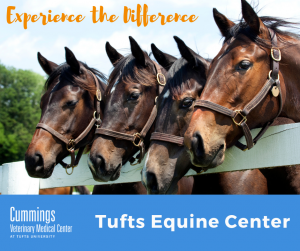 To learn about services offered for performance horses visit the Hospital for Large Animals at Cummings Veterinary Medical Center.